Vitamin D3 5000 IU by PureFormulas works well. 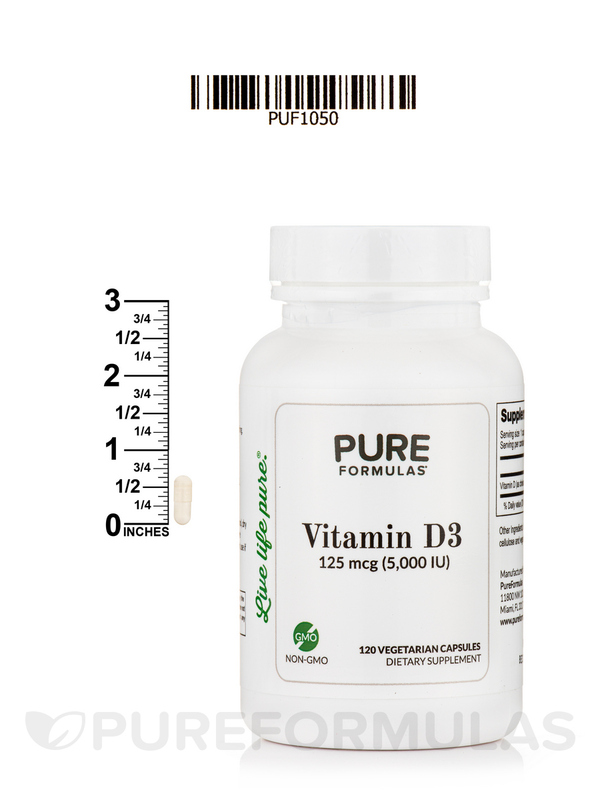 Good value for Vitamin D3 5000 II by PureFormulas. You may have heard about vitamin D recently‚ both about its popularity and versatility. It's usability is fairly indisputable though- vitamin D intake is tied intimately to your overall functioning wellness. Also known as the 'sunshine vitamin' due to its the body getting a majority amount from sunlight exposure‚ vitamin D is found in a collection of foods. Still‚ even with the prevalence of the vitamin‚ it is possible and probably more common than you might realize to have some kind of vitamin D deficiency. To protect against that and supply health to both your heart and blood vessels‚ and work as a mineral regulator‚ you may want to to try Vitamin D3 5000 IU 120 Vegetarian Capsules by PureFormulas. Vitamin D3 has many roles‚ surely‚ but one of its main roles is its regulation capabilities for both calcium and phosphorus. Since it promotes the ability of these minerals to be absorb‚ it can help in the wellness of both your teeth and bones. Vitamin D3 can also work to support heart health in its ability to provide help in controlling blood pressure to balanced‚ healthy levels. 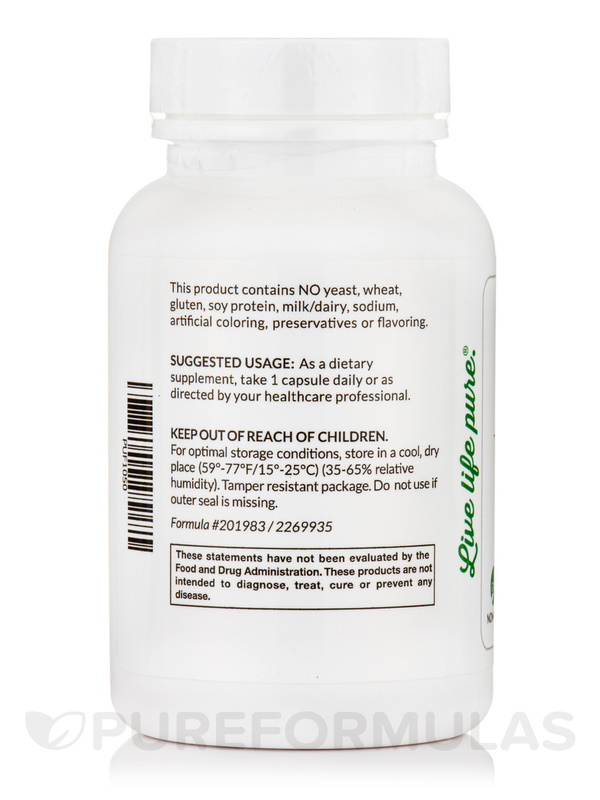 With 120 capsules‚ you can get a lot of value out of this Vitamin D3 5000 IU supplement. With PureFormulas' promise to provide free shipping on your order‚ you can also easily save some money at the same time. 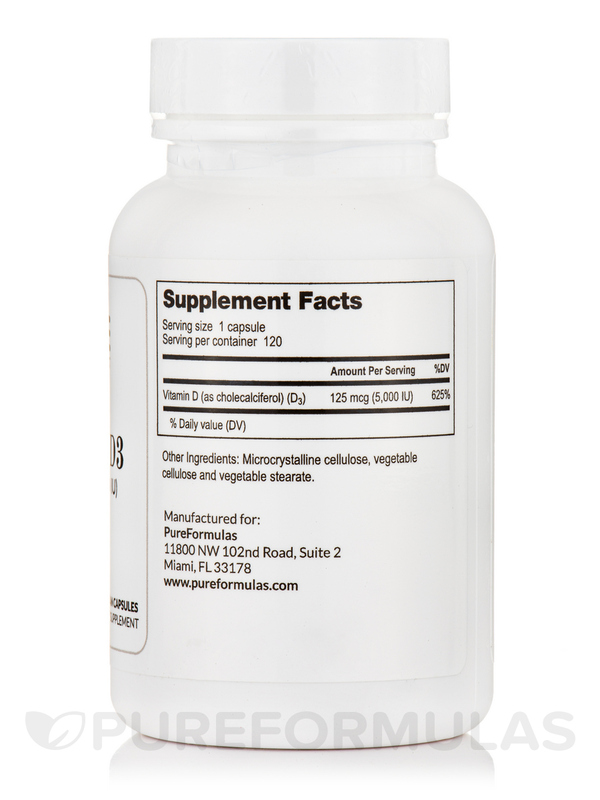 Each bottle of Vitamin D3 5000 IU by PureFormulas contains 120 vegetarian capsules should last for approximately 4 months at the suggested dosage of 1 capsule daily as a dietary supplement‚ or as directed by your healthcare professional. Other Ingredients: Cellulose‚ vegetable cellulose‚ vegetable stearate. This product contains no yeast‚ wheat‚ gluten‚ soy protein‚ milk/dairy‚ sodium‚ artificial coloring‚ preservatives or flavoring. Love this D3. I take 10,000 UI a day as directed as I live in the Northeast where is gets dark and cold longer in the winter months. Not sure I feel a real difference but I take it. I have to do a blood draw and see my updated levels. I like the very small capsule size and it is not like gagging down a giant pill. Very well priced as well. Thanks PF. Price, Size, and quality product. As a senior, we are indoors more during the winter months. My doctor checks my Vitamin D levels with the CBC and I always pass. 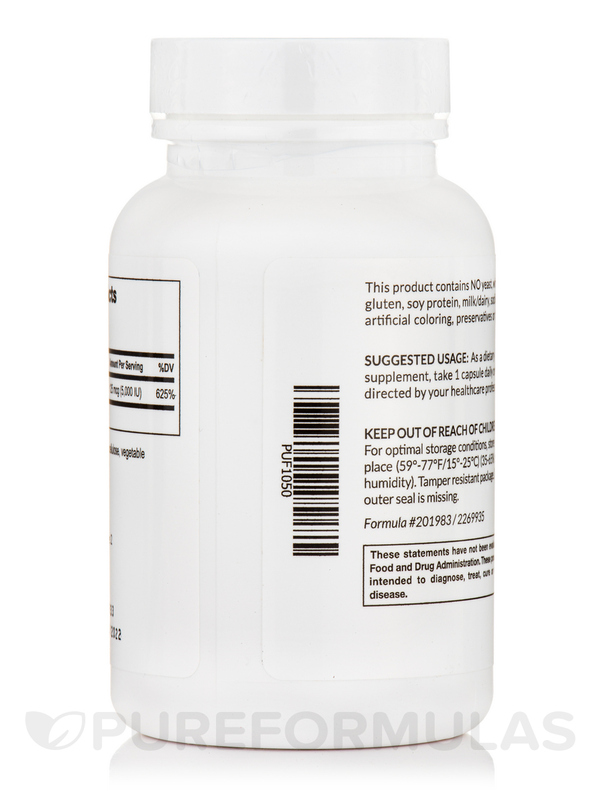 My vitamon D levels have been in range since taking Vitamin D3 5000 IU by PureFormulas. Comparable to a higher priced Vitamin D3 I had been taking. 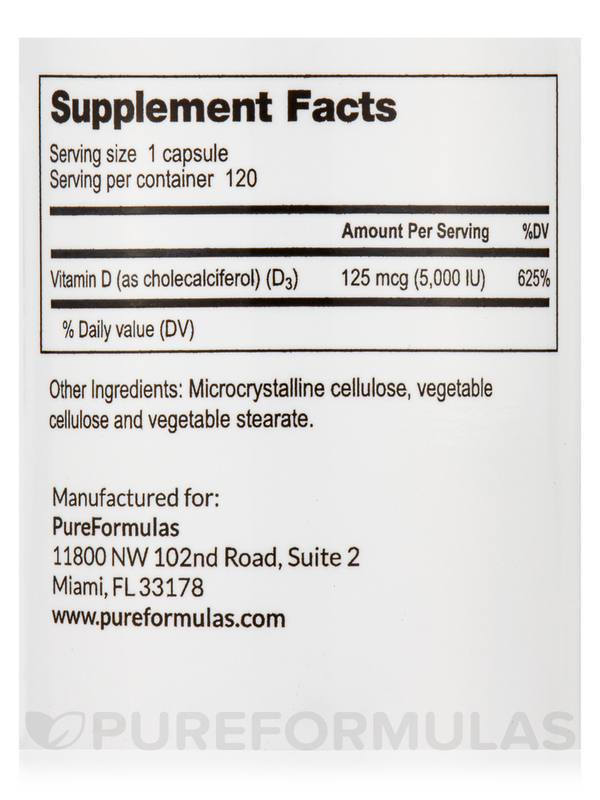 Vitamin D3 5000 IU by PureFormulas small size makes it easy to swallow. Other supplements I've taken have been much larger. 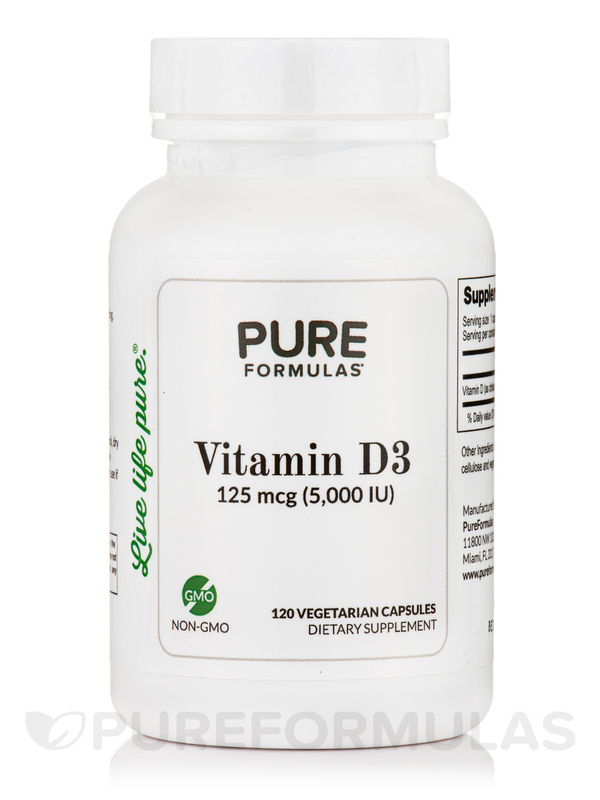 I've tried different vitamin D supplements for years, but Vitamin D3 5000 IU by PureFormulas is incredibly affordable and works great. Highly recommend. Wish it came as combo with vitamin k! 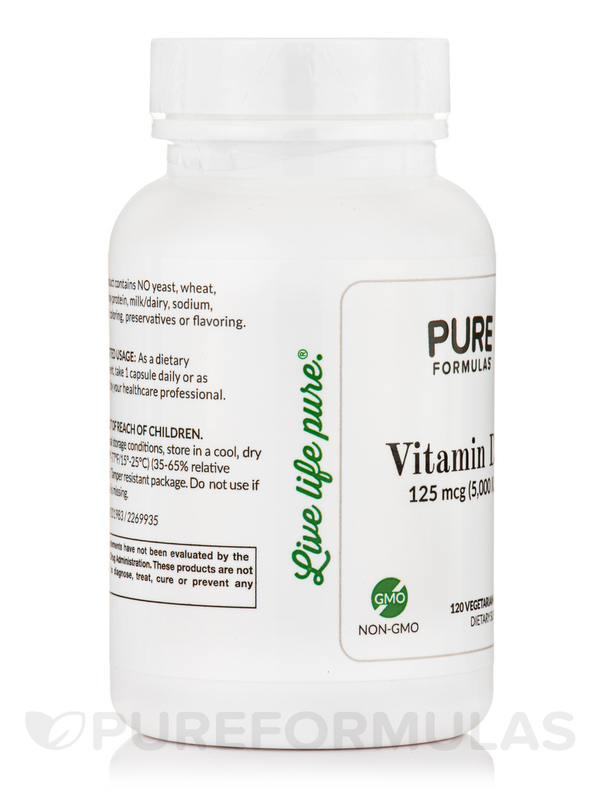 Vitamin D3 5000 IU by PureFormulas is similar to one of the more expensive Doctor Recommended Brands on here! Love that these are the same ingredients, same potency and same quality, only cheaper! Will definitely re-order! I have had consistent blood work done over the last several months. My dr is amazed how high my vitamin D have been. I have very fair skin and I am not in the sun lots. However, my vitamin D amounts were off the charts . All thanks to this Vitamin D3 5000 IU by PureFormulas! 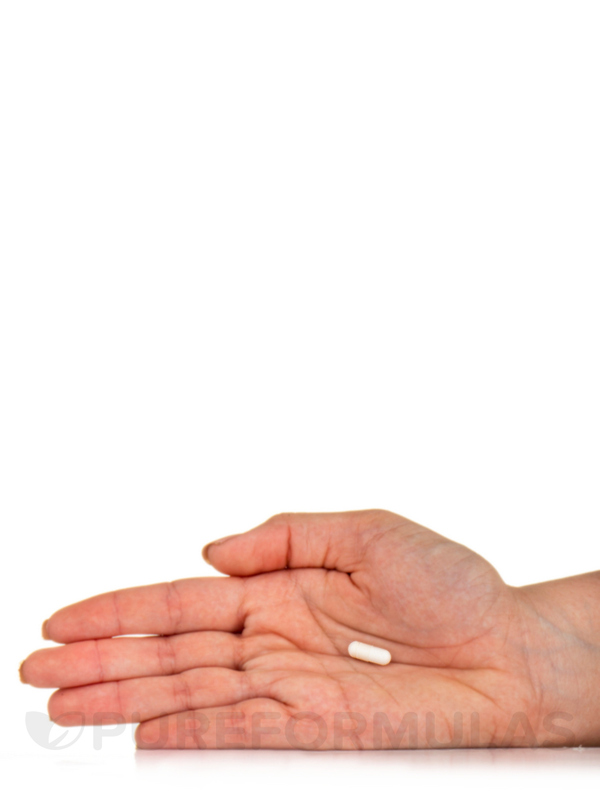 Are the vitamin D capsule oil or powder? Hi heather, thank you for your question. 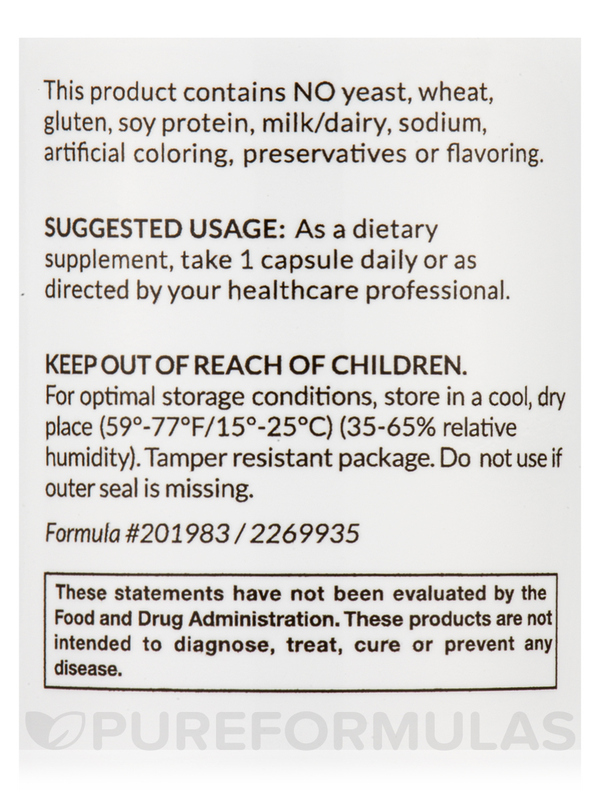 This product is in powder form in the capsule. Does this Vitamin D3 5000 IU cause cancer and birth effects? Hi Fathin, Proposition 65 is a study that the state of CA did to inform their residents of some ingredients (more than 800). All products sent to the state of CA gets this message on all the items unless otherwise directed by manufactures. It does not mean that any of the items have any chemical that will cause cancer or birth defects. You can contact the manufacture for more details whether or not it has any of the ingredients in it. All manufactures are aware of Proposition 65.